Threading is fast becoming the most popular method for hair removal. Originating from India and the Far East, the method of plucking untidy hair using rolled threads is favoured currently as it avoids pulling on the skin which is very sensitive around the eye area and therefore avoids drooping of the eyelid. 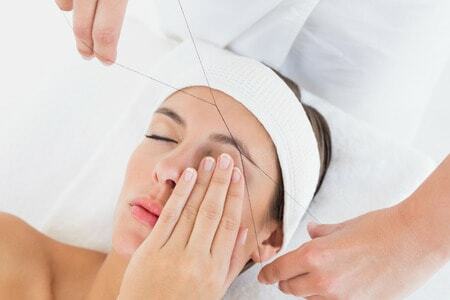 This workshop course introduces the learner to the skilled technique of the ancient art of threading and is ideal for practicing beauticians that wish to have that extra skill.